At ASU, global engagement means being aware, involved, and knowledgeable about the interconnectedness of today's world and taking action to make the world a better place. This is realized through traditional international academic programs and student exchanges, as well as via a proactive approach of engaging in research and development projects to find solutions to the most complex challenges facing our world-innovating to maximize outcomes, locally, nationally and internationally. The ASU Engineering School operates in a trans-disciplinary, entrepreneurial environment that produces a creative, innovative, highly educated workforce and advancements in technical knowledge, driving sustainable growth and improved quality of life in the communities it serves. In 2009, ASU generated over $300M in research and the Engineering School contributed over $60M. Part of the ASU Engineering School’s core vision is to become a leader in global engineering education. Some examples of on-going global programs that support this vision are: The Global Capstone Systems Design Program through collaboration with Nanyang Technological University in Singapore, Tecnologico de Monterrey in Mexico and India Institute of Science. 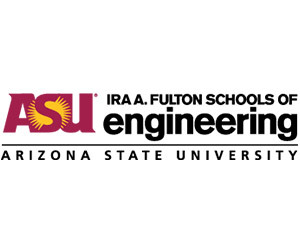 ASU is leading the offering of a virtual team experience for engineering students during their senior year developing jointly a systems design project in line with ABET accreditation criteria. A 3+2 program is offered in collaboration with Huazong University of Science and Technology in China, and plans are underway to expand this program to other universities, such as China University of Petroleum, Wuhan University, and Sichuan University. The 3+2 program is currently offered to Electrical, Mechanical, Chemical, Civil and Environmental and Materials Engineering as well as Computer Science and Computer Systems Engineering students. Students study their first three years of their undergraduate program at their home Chinese institution. The senior capstone design project and other program requirements are completed while spending their senior year at ASU and these credits are transferred to complete their degree in China. Next, students continue at ASU in an engineering Master’s program. Dual Masters Degrees in Innovation and undergraduate and graduate certificates in Six Sigma – Green and Black Belt – offered in partnership with Tecnologico de Monterrey to students across 32 campuses in Latin American through live and asynchronous distance education formats.